Four arms are better than two! Add some awesome to your collection! Bring Star Wars home with the Star Wars: The Black Series Archive 6-Inch Action Figures. These out-of-this-world 6-inch figures were developed in conjunction with Lucasfilm to bring you the highest level of detail and authenticity. Collect them all, and bulk up your collection right here! Ages 4 and up. 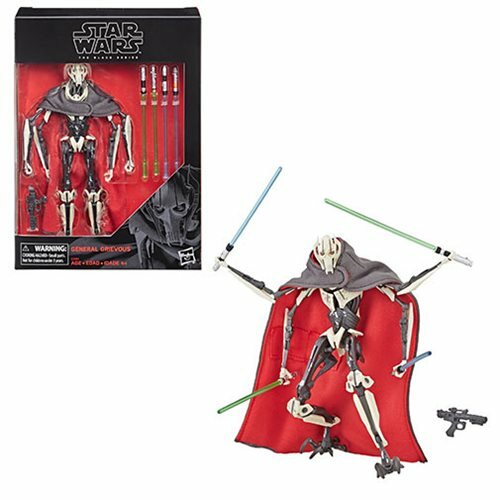 Exquisitely detailed and articulated, 6-inch tall General Grievous comes with 4 lightsabers and a blaster.